This weekend we had some good friends staying with us, and went looking for something fun (and outside) to do in Brisbane. In that same situation in the past we’ve often headed for Southbank, or wandered up Mt Coot-tha, or maybe a local park or playground. This time, for some reason, Mt Glorious came to mind. It’s part of the D’Agular range, and right on the edge of Brisbane, with access through Samford Valley and then up the winding road to the village of Mt Glorious. Of course we stopped for breakfast on the way…at our friend’s cafe Delicatezza in Mitchelton (an unashamed plug for a great feed, and a great mate). 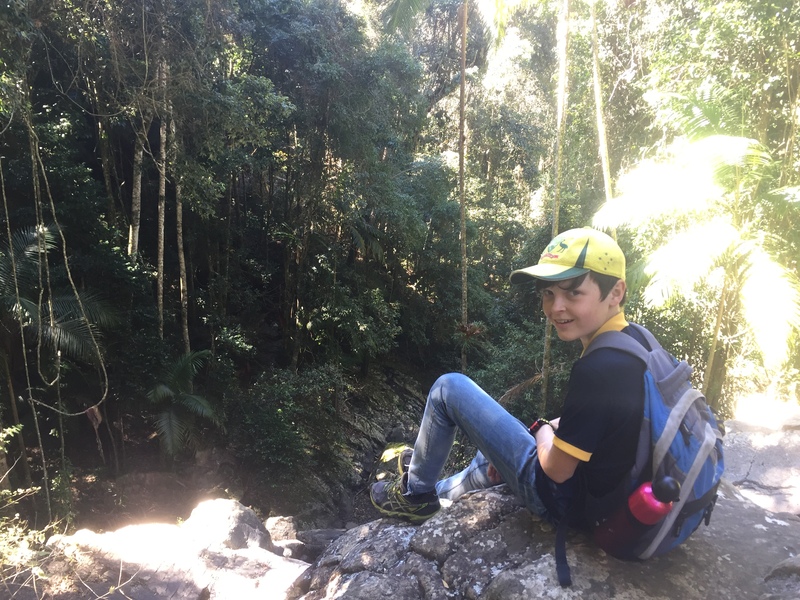 Once we made the climb to Mt Glorious, we left the car at Maiala Picnic Area and wandered the 4.something km Rainforest and Greene’s Falls trails. It was, it has to be said, an absolutely stunning Brisbane winter day, and the walk was a joy. 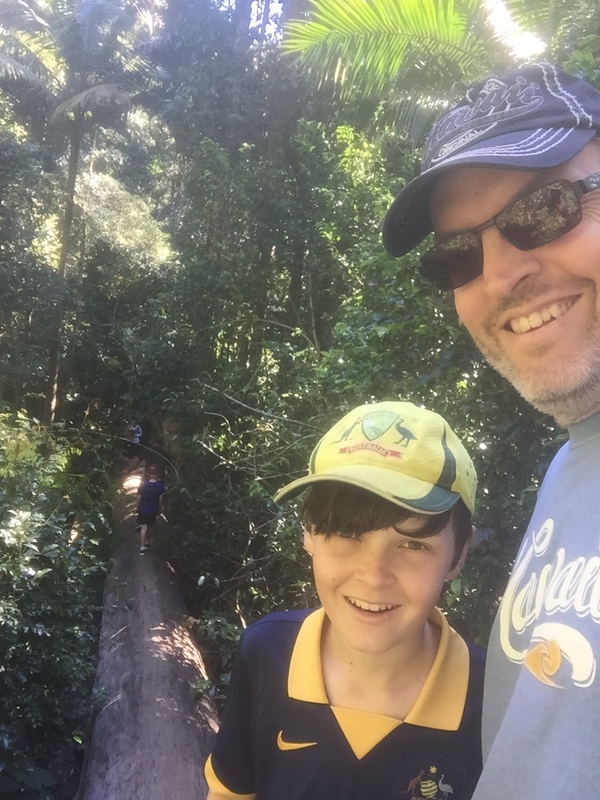 Beautiful forest, easy walking trails, kids chattering away (apart from the odd “Dad I’m hungry” call that seems to accompany just about every family adventure). We clambered down the rocks at the Falls, balanced our way along a 30m fallen tree, played, explored and then back at the picnic area sat in the sun, enjoying lunch and good company. A meander back via Mt Nebo with stops at the beautiful Westride, Jolly’s and Camp Mountain Lookouts completed the day – all without ever travelling more than an hour from home. Jolly’s Lookout is amazing…we’ll definitely be back there for a sunrise brekkie bbq one morning. I haven’t been up Mt Glorious for probably 20 years or more…and its right on our front door. Right under our nose, so to speak. Why is it that we sometimes don’t see, or notice the things that are right in front of us? Maybe it’s beautiful locations, like Mt Glorious; maybe its the extraordinary blessing of family and loved ones that we sometimes don’t think about; maybe its business or professional opportunities. Sometimes we (by which I of course mean me) are so focused on the next big thing that we miss whats right there before us. I’m left wondering how many other Mt Glorious’es are right on my doorstep, right under my nose, just waiting to be noticed, explored and enjoyed. Not for the first time (to my shame that I keep having to be reminded) I’m reminded of the value of slowing down a little and enjoying whats right in front of me. How about you? What’s your Mt Glorious? This entry was posted in stories from my life, wondering and tagged adventures, brisbane, family, mt glorious, walking. Bookmark the permalink.